Subaru is getting back to the three-row crossover segment with the Ascent and this is our first unobstructed view of the production model. We’ll remind you that the 2019 Subaru Ascent is scheduled for a world premiere at this week’s Los Angeles Auto Show. 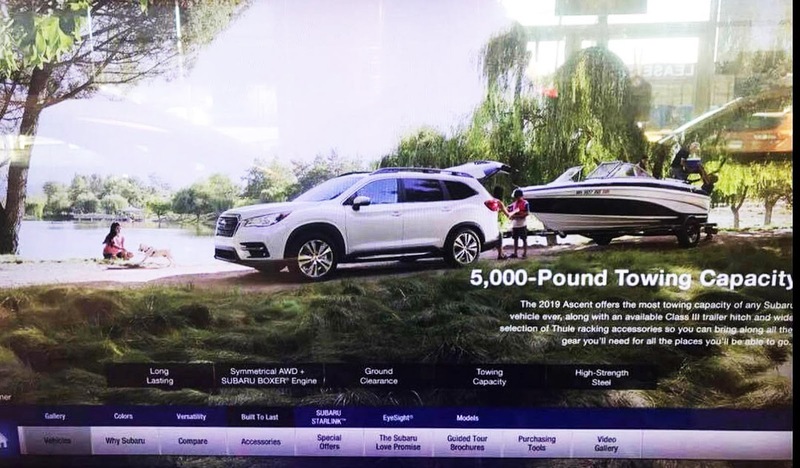 Sent to us by one of our readers, Justin, the screenshot was apparently taken from Subaru’s website (we haven’t found the page yet). Having learned a (hard) lesson from its previous effort to create a 7-seater in the form of the B9 Tribeca, produced from 2005 through 2014, Subaru has created a true mid-size SUV this time, both in size and styling. There are no surprises when it comes to the Ascent’s design, as it was previewed by a near-production ready concept in New York earlier this year. Of course, the consumer model drops some of the study’s fancier embellishments like the headlamps, door mirrors and chunky wheels for more digestible details. The end result is something that should appeal to your typical Subaru as well as mid-size SUV buyer – we’ll let you decide if that’s a good or bad thing. We expect the production car to keep close to the concept’s footprint at 198.8 inches (5,049 mm) long, 78.3 inches (1,989 mm) wide, and 72.4 inches (1,839 mm) tall with a wheelbase that spans 117 inches (2,972 mm). Based on Subaru’s new global platform, the Aascent is rumored to be powered by a new turbocharged direct-injection boxer engine, but we’ll know for sure tomorrow. 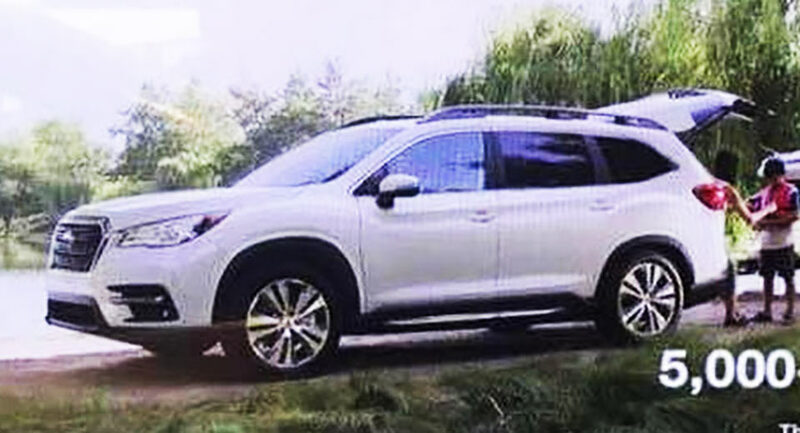 Aside from the crossover’s looks, the screenshot also informs us that the Ascent comes with a 5,000-pound towing capacity which is the “most towing capacity of any Subaru vehicle ever, along with an available Class III trailer hitch and wide selection of Thule racking accessories”. Many thanks to Justin for the tip!